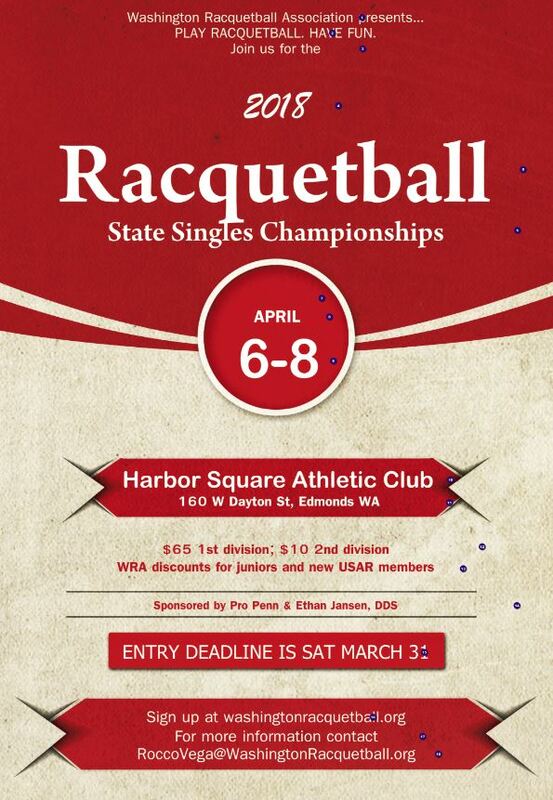 Come join us for the 2018 Washington State Singles Championships at the Harbor Square Athletic Club in downtown Edmonds on April 6-8, 2018. Souvenir shirts and discounted meal certificates will be provided. 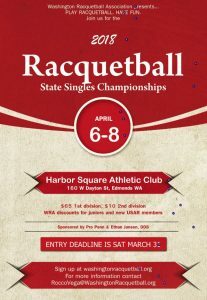 This event is open to non-WA players as well, as this is a qualifying event for National Singles. 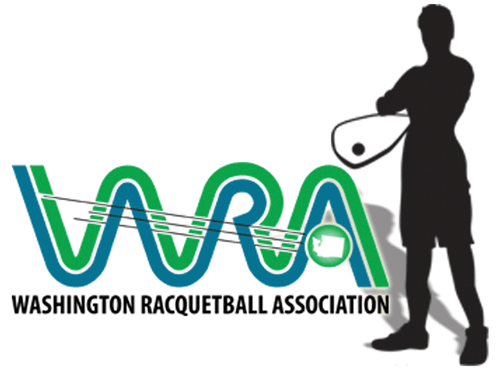 For new USAR members, the WRA will pay $25 toward your first USAR membership fee ($50 annual), and $25 toward your entry fee for the state singles tournament. For more information and sign up for the event click HERE.